Thanks to all who came out to the Xmas Ugly Sweater Bowling party on Friday night. Timber Lanes was full of the finest Christmas clothing. This was certainly one of the best-attended bowling nights we have had in recent years. However, it is doubtful that we shall be ready to challenge Big Ern McCracken just yet. 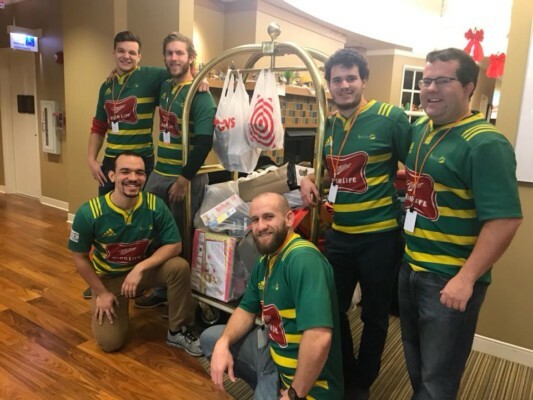 The Christmas spirit was both embraced and imbibed by all and we collected somewhere in the region of 40-50 toys that have been donated to the Ronald McDonald House and will be distributed to local hospitals, primarily the Lurie Children’s Hospital here in Chicago.